In honor of the holiday, let’s get a little “Spooky” with Dusty Springfield. The Classics IV did the original, but I like her version. Newscoma’s FGF tune also has a Halloween vibe. So does Ginger’s and she’s got a long list of others who’ve posted FGF tunes today. As a big fan of reality television, I can’t wait until BBC America brings over this version of Big Brother. 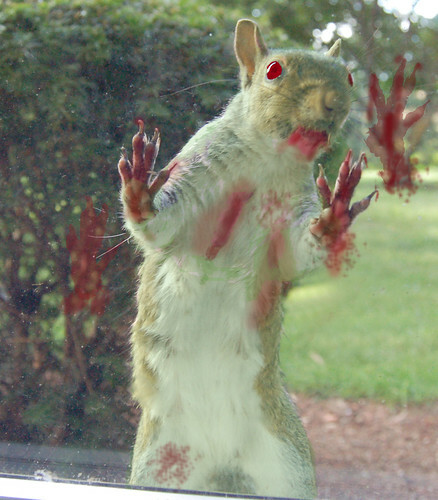 The UK Channel 4 has been airing a five-episode “reality” show that features zombies called Dead Set. The storyline of this fictional show has the castmembers of a Big Brother show trapped in their home playing to win the cash prize while outside the house/set zombies have taken over the world. Then when each houseguest is eliminated, they exit the safe house and the first thing they encounter is the undead seeking to eat their brains. For a video clip and more info, visit The Guardian. Wouldn’t that make a great TV marathon for Halloween night? I’m not sure if they included the kitchen sink in this, but just about anything else you can think of from the kitchen was put together to make this giant shiny skull. 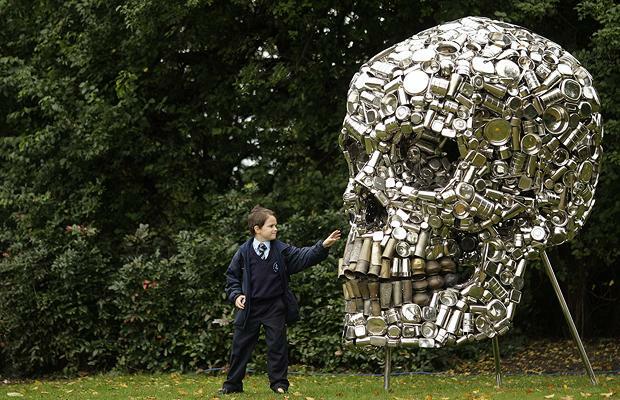 Indian artist Subodh Gupta presented his piece at the Frieze art fair in London. Just a little something to break up the non-Halloween music of the last few posts as we begin the final countdown to All-Hallow’s Eve. Boo to you! I got to see kd lang perform at the Ryman the other night. Believe it or not it was my first ever visit to the Ryman and what a way to experience the historical building – an angelic voice filling the room and someone I love sitting next to me – a perfect night. I’ve been a fan of kd since her first album (yes I had “Angel With A Lariat” on vinyl) and her late night visits to Letterman’s set. She performed lots of stuff from her new CD “Watershed”; you can hear a few of those tunes on her MySpace page. She charmed her audience with a bit of banter and some “dance moves” and her banjo. The showstopper was her version of Leonard Cohen’s “Hallelujah”. The emotion conveyed by her powerful voice raised the Ryman roof and lifted her audience to its feet for an extended standing ovation once the rendition was finished. It moved me to tears. This version isn’t from the Ryman, but it’s still an impressive showing from 2007. It’s Feel Good Friday and I’ve got some retro kd lang for everyone headed to the Ryman in Nashville to see the Canadian songbird tonight. I ran across this video last week while I was looking for a Feel Good Friday tune and I’m still not quite sure what to make of it. It’s a mash-up of Gwen Stefani’s “Hollaback Girl” and the Soggy Bottom Boys from the movie soundtrack to O Brother Where Art Thou. I’ll let you judge for yourself. 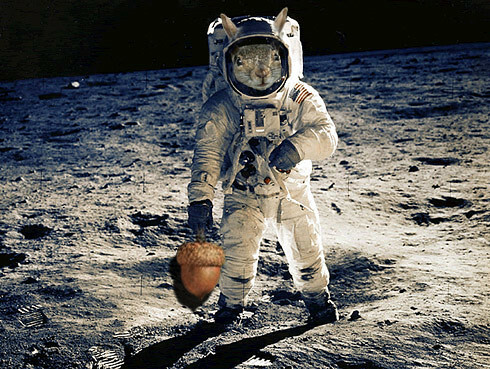 What with all the Joe the Plumber, Caribou Barbie, McCain tongue-wagging talk, some of you may have missed the news about a new lunar mission. Yes, I know that diaper-wearing, Katie-Couric-on-a-bad-morning-look-alike astronaut Lisa Nowak‘s case has been back in court with her lawyers’ attempts to get the wacko stuff found in her car like wigs, duct tape and maps thrown out as evidence. That’s just loony, not lunar. Here’s the lunar race I’m writing about. FYI, India launched its first lunar mission — Chandrayaan-1 which means “moon craft” in ancient Sanskrit — this morning with hopes of mapping the moon’s surface. They’re looking for potential energy sources. The quote above is from an article at Scientific American. Japan and China are also very interested in the moon and have launched orbiters around the big green cheese. NASA does have some payload on the Indian lunar lander and will benefit from the exploration. Is the USA ahead of the game with its Mars rover (which you can follow on Twitter @MarsPhoenix) or overlooking what’s right in our “backyard”? It makes me wonder just how many more $$$$ will be pumped into space exploration in the coming years as other nation’s take serious shots into outer space.